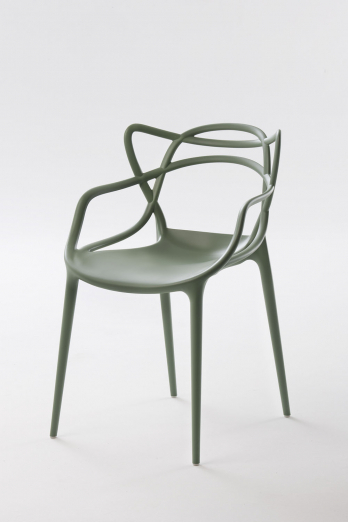 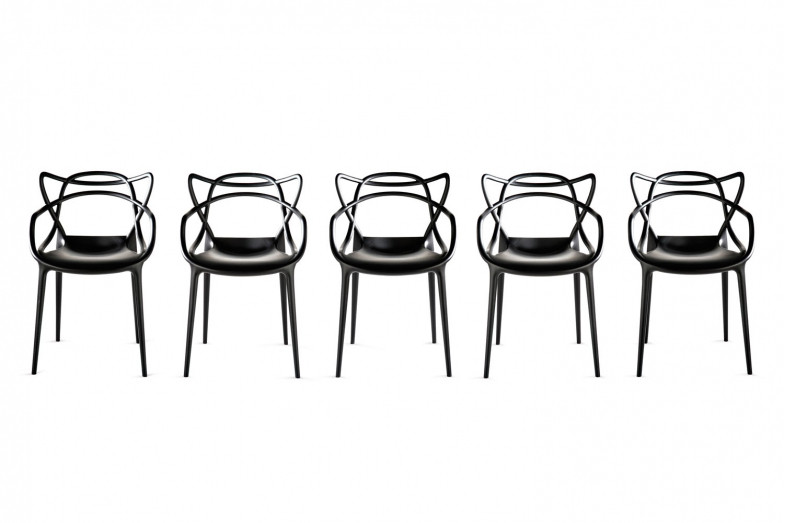 Starck pays homage to three contemporary design icons and, through a fusion of styles, adds it all up to a “stylistic sum” – the Masters chair. 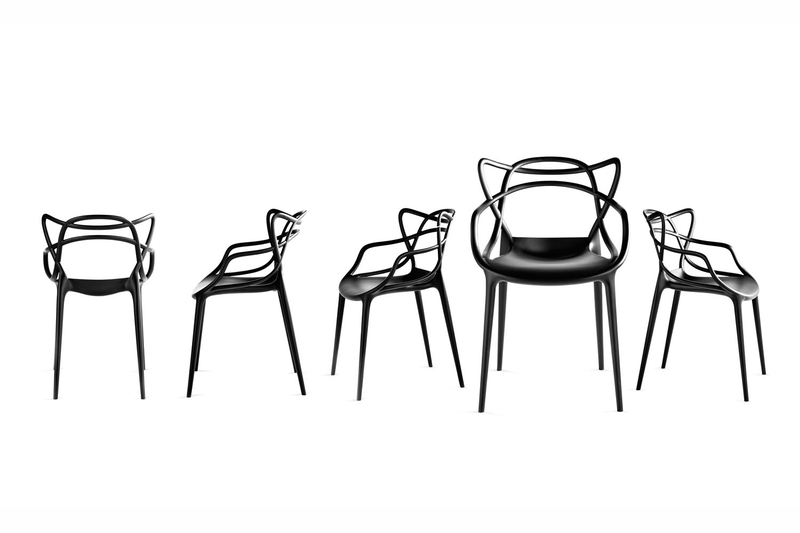 Re-interpreted in a space age key, the 7 Series by Arne Jacobsen, the Tulip Armchair by Eero Saarinen and the Eiffel Chair by Charles Eames weave into a captivating and sinuous hybrid. 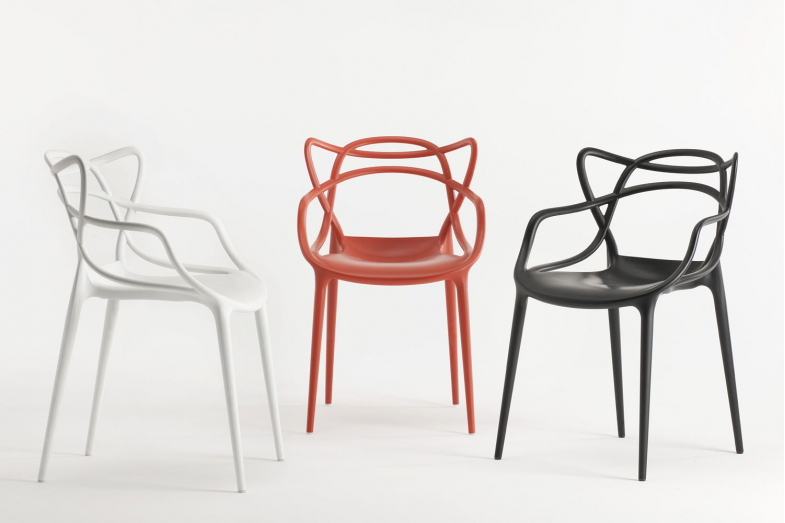 On its four slim legs, the Masters seat is roomy and comfy. The back of the chair is its most fascinating feature, of course, characterised by the fullnesses and empty spaces created by the curvaceous criss-crossing lines of three different backs descending to meet together at the seat.